No internet. No mobiles. No budget airlines and no suitcases with wheels. Things have certainly changed in the four decades since Joan and Pat Laurance took their sick daughter and family for their first holiday to the British seaside. The mid-seventies was a pivotal time for change in modern tourism: a time when, for the first time in history, many of us in Britain started to think of holidays as a necessity rather than a luxury. To our younger supporters and to the many children we help, 1975 must seem to belong to ancient crinoline-wearing days. As remote to them as in the 1800s the Grand Tour was to all but the privileged sons of gentry who would swan off for to Europe for ‘improving’ cultural tours lasting up to three years. Holidays – the word comes from Holy Days – rarely existed for the common man and his family. In wasn’t until 1841 that a one-day excursion to a temperance meeting (from Leicester to Loughborough on a chartered train) was organised and sold at a shilling a head. This earned former Baptist preacher Thomas Cook the sobriquet of inventor of the package tour. 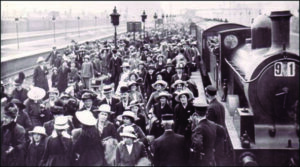 It was Lancashire cotton workers in the 1870s who helped develop a genuine working-class seaside holiday system. They saved all year to convert the traditional (unpaid) one-week Wakes holidays into seaside breaks, and in doing so helped change the character of many northern seaside resorts. Wakes Weeks when factories closed were still pretty strong in the north in the 1970s (Glaswegians brought their own police with them to Blackpool for their Wakes Week). The right to holiday leave became a legal right for workers in 1939, and by 1975 most workers had two weeks’ or more paid holiday. (New Year’s Day was made a Bank Holiday in Britain in 1974 and the first Monday in May a Bank Holiday in 1978.) Our holiday of choice was still the British seaside and 40 million of us headed to a British beach in 1975. Many of us were now swapping train travel for our own cars, thanks to Dr Beeching who in the 1960s had closed many of the rail branch lines to seaside towns. Car ownership gave us all a freedom never before enjoyed and led to a big increase in camping and caravan holidays. 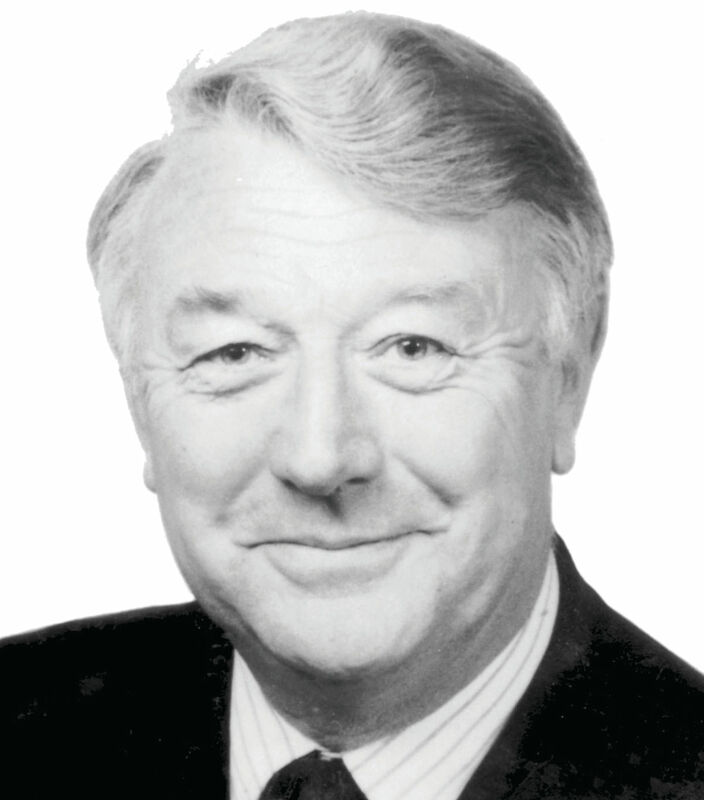 But we were spending our winter nights curled up in front of our two-channel televisions to hang on every word uttered by John Carter and Cliff Michelmore on the BBC’s Holiday programme and ITV’s Wish You Were Here…? with Judith Chalmers. We started to dare to dream of jet-set getaways only ever before enjoyed by film stars and royalty. We began to swap the knotted handkerchief for suntan cream. (Thank you Coco Chanel who, back in the 1920s, had started the transformation of a suntan into a coveted fashion accessory rather than the mark of a peasant labourer.) 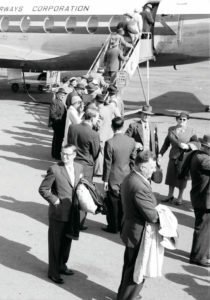 Travelling by plane was a special treat and many of us dressed up in our Sunday best for the privilege. We were learning to love abroad. By 1979, for the first time in history, Britons spent more on overseas holidays than on holidays at home. For £50 you could spend a week in glamorous Majorca with hotel bedrooms that had balconies and – unheard-of luxury – ensuite bathrooms! Travel entrepreneurs were developing mass-market tourism abroad on an unprecedented scale. A new comedy first aired on BBC2 in 1975 no doubt helped to galvanise our dreams of escape. Fawlty Towers neatly exaggerated why we were falling out of love with the traditional seaside guest house. And in 1976 supersonic aircraft Concorde entered commercial service and the rich jet set could cross the Atlantic in a record 2 hours 52 minutes. To keep up, the British seaside offered the original ‘all-inclusive’ holidays –- the holiday parks that still thrive today. Did you know that Billy Butlin was the man who brought Dodgem cars to the UK? 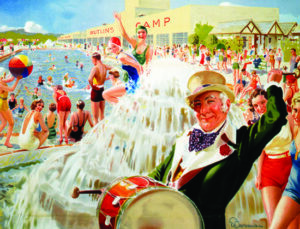 In 1936 he had opened his first Butlin’s holiday camp in Skegness and offered families a week’s board and entertainment for the equivalent of a week’s wages. The much modernised parks are still loved by families and have long since shrugged off their Hi-de-Hi! holiday camp image. And Butlin’s chalets and caravans no longer have inbuilt loudspeakers announcing meal times and tonight’s entertainment. Shame! Back in the days when a first class stamp for a postcard cost 7p, holidays abroad on charter planes were packaged for us and sold in the burgeoning high street travel agency shops. However when we wanted to book our British seaside holidays we had to turn to newspapers and magazines. We would pore over pages of small ads for destinations, hotels and holiday camps and rely on snail mail to request and receive brochures from the UK’s regional tourist boards. Holiday-makers dress in their Sunday best to take a flight. But then, just as now, there was a hefty chunk of the population for whom a family holiday would only ever be a dream. Social Tourism (now known in the UK as the Holidays Matter movement) existed in many different ways. Many children’s only experience of a day trip or a modest holiday – usually under canvas – was thanks to organisations like the Guides and Scouts, or Sunday schools, youth clubs and charities like the Children’s Country Holidays Fund, set up by the philanthropist Henrietta Barnett in 1884 as the ‘The Children’s Fresh Air Mission (Off to the Country)’. Her mission was to provide fresh air for ailing London children by taking them away from London’s slums for holidays at the seaside or in country surroundings. But few, if any, of these opportunities for children were for trips and holidays to be enjoyed with their families – a fact that Pat and Joan Laurance were quick to recognise. How we holiday with our families has changed radically over the last 40 years. For those of us privileged to be able to travel today, adventures unheard of 40 years ago are within our grasp at the press of a computer key: winter holidays, villa holidays, boutique hotel holidays, foreign city breaks, cruises, ski trips, scuba trips, flights to far-flung places with strange-sounding names. So what’s next? It’s not easy to predict how we’ll be holidaying with our families 40 years from now. Driverless cars taking us to beaches covered by weather-proof glass domes? Zooming away to other planets? Being beamed up to destinations à la Star Trek (I wish)? However, some things haven’t changed for 40 years, nor will they change… the lasting effects of a good holiday, the anticipation of a trip to come, the joy of spending time with people you love away from the routine and worries of everyday life, and the suitcases of lasting memories we bring home with us. Whatever the future brings to the wonderful world of holidays, here’s to the next four decades of seaside smiles, hope and happiness.